So, after a long physical hibernation, the air is fresh and it’s time to try to get the body to think about moving again. 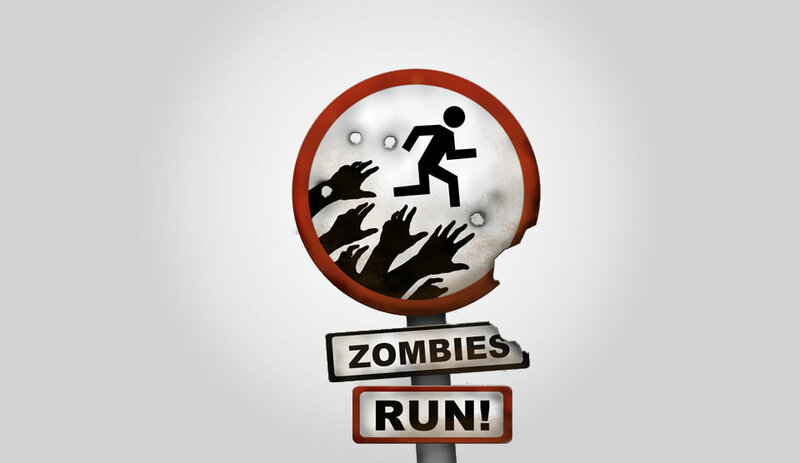 I’m going to be trying out the Couch to 5K version of the hit “Zombies, Run!” app (iPhone | Android) and chiming in where it makes sense. Today I did The Story Begins intro chapter. Getting things setup was a bit of a tussle. I bought the app, setup Zombielink. Had to install WinAmp on my phone for more useful playlists than the stock app, and dig some MP3’s out of my archive (I almost exclusively listen to Spotify through my phone, but these two can’t play together). So, it was a bit more of a ramping up period than I expected and I was in a hurry to get going before the midday was lost. Once I hit the road, I was enjoying the beginning. Sunny, breezy day outside meshed really nicely with the intro chatter environment sound. I was really starting to get into it. But, after the radio fellow, Sam, finished jabbering at me, it cut to a song. Here, I missed a critical planning stage: Zombies, Run uses your music mixed with almost announcer-like interludes. There’s no “in-game” explanation for why, if Sam is so concerned for me, he cuts to music. Additionally, it really helps to think about what sort of music you’d want in the background of a zombie chase. My musical selection today was way too upbeat for keeping ‘in character’ and jolted me right out of the story (“Sam, are you f*cking with me?”). So, you really want to think about what music you queue up for these runs. I’m thinking I’ll dig up some scores from some creepy flicks instead. In my series of unfortunate playlists, I discovered a couple of other things. You can’t skip tracks, so really choose your play sequence wisely. Do not forget to check that you don’t have a giant long track from when music came on CD’s and they would leave 10 minutes of silence in the middle. That completely ruined any tension that was building. Which led to.. I think that giant, 15 minute track that came at about minute 20 of my ~30 minute program confused the hell out of the app. When it finally ended (I was almost home), the whole episode started over. It hadn’t recorded any of my data, it hadn’t uploaded anything to Zombielink. I’m going to skip the welcome chapter tomorrow and hope that week 1 workout 1 draws me in. I can’t help but think, instead of music, how amazing it would be if people made or sold language lessons in-character for these. I’ll be doing 30 min x 5 days a week x 8 weeks. Languages lessons in that timeline would generally intro a core of fluency. How fun would it be to have, say, an English speaker and a different speaker doing back and forth conversations, training you in not only ‘normal everyday needs’, but also zombie realm terms? It’d be crazy easy to make it in-character, which I think would enhance the experience better than any form of music. Featured Posts, Personal, Technology ARG, Nifty Ideas, Zombies. permalink.